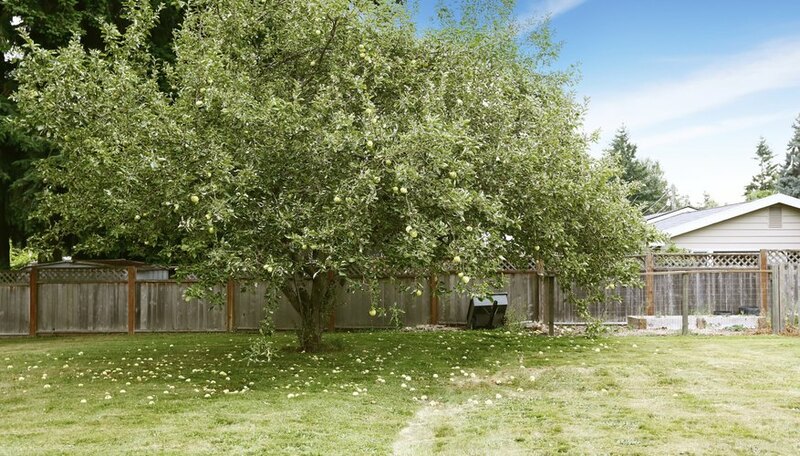 Whether using trees as a privacy screen or to conceal a privacy fence, the right choice also can provide summer shade, shelter from winter winds and/or homegrown fruits. A narrow space between two houses may require a creative gardening solution, but if you have a 12-inch-wide space in your side yard, then you have room for a row of trees. 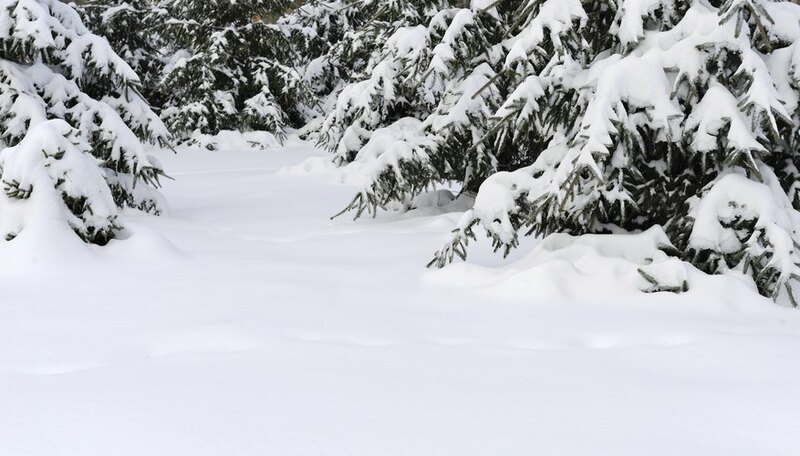 Evergreens are efficient year-round privacy screens and wind blocks. When you want to block the view from a two- or three-story house, consider using tall evergreens such as the 3- to 6-foot-wide Italian cypress (Cupressus sempervirens), hardy in U.S. Department of Agriculture plant hardiness zones 7b through 11, or a row of 12- to 20-foot-wide "Green Giant" arborvitae (Thuja standishii x plicata "Green Giant"), hardy in USDA zones 5 through 7. 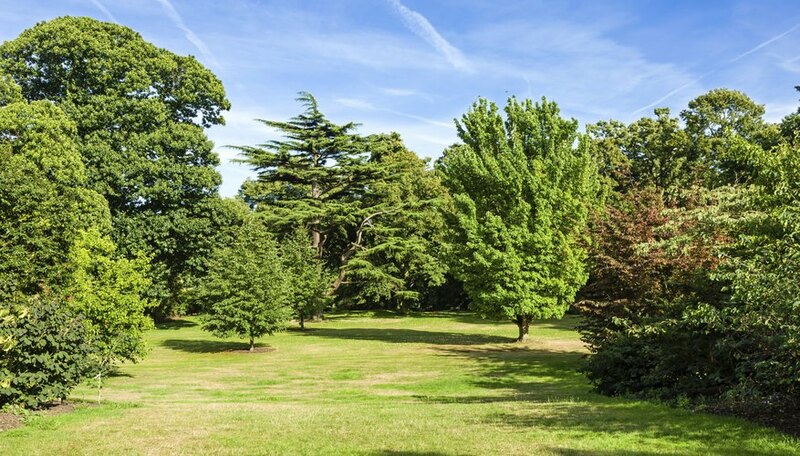 If you prefer a shorter evergreen, then consider "Techny" arborvitae (Thuja occidentalis "Techny"), which is hardy in USDA zones 3 through 8 and grows 12 to 15 feet tall and 6 to 8 feet wide. When selecting trees suitable for both privacy and as a backdrop for a tropical garden, a palm tree may not immediately come to mind. 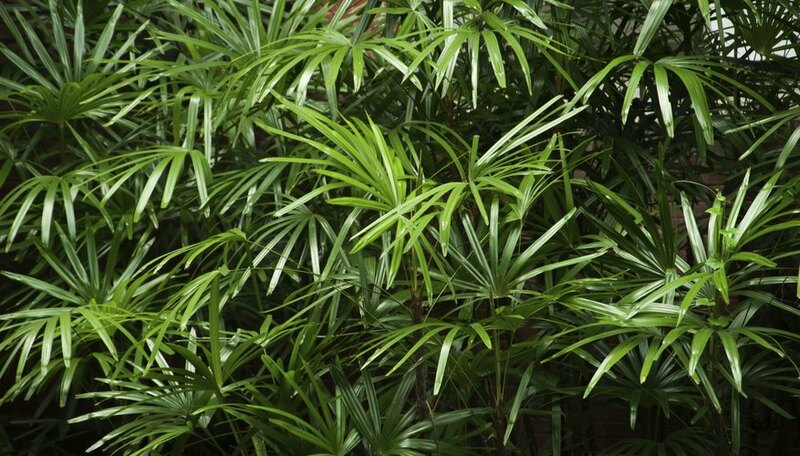 A clump-forming species, hardy bamboo palm (Chamaedorea microspadix) grows up to 8 feet tall on multiple stems. It grows best in shade or dappled shade and is hardy in USDA zones 8 through 11. Another clumping plant suitable for tropical gardens is red clumping bamboo (Fargesia nitida "Jiuzhaigou"), which technically is not a tree. Hardy in USDA zones 5 though 9, it thrives in partial shade and full sun, and it grows up to 12 feet tall and 6 feet wide, providing a dense screen of stems and foliage. A sunny but narrow side yard or courtyard can provide a variety of fruits from a row of columnar fruit trees. These small trees also grow well in planters, which can be arranged into a privacy screen or scattered on a patio. Columnar apple and crabapple trees (Malus pumila) and pear trees (Pyrus communis), all hardy in USDA zones 4 through 9, as well as sweet cherry trees (Prunus avium), hardy in USDA zones 5 through 9, are among the columnar fruit trees available to gardeners. Although some varieties naturally grow into a columnar shape, others may require pruning to maintain a 2- to 3-foot width and height of 8 to 10 feet tall. In extremely narrow spaces, the classic espalier may solve a privacy problem. Trees trained onto a trellis are decorative elements in winter and have foliage that provides privacy during summer. The Belgian fence is used as both a fence and screen; its diagonal wires make a diamond-shaped pattern. 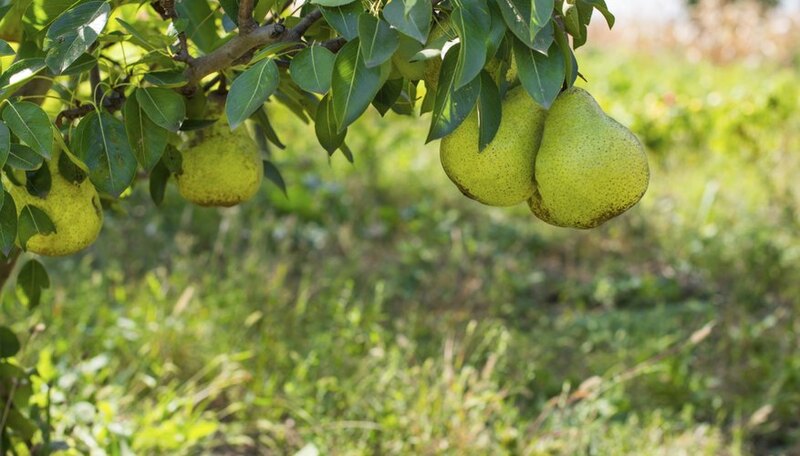 Among the trees used for espalier are apples, pears, Chinese redbud (Cercis chinensis), which is hardy in USDA zones 6 through 9, and sweet bay magnolia (Magnolia virginiana), suited for USDA zones 5 through 10. Espalier trees require extra maintenance and pruning to keep them growing in a relatively flat pattern. Always disinfect your pruner's blades between cuts using a solution of equal parts water and rubbing alcohol to prevent the spread of plant diseases. U.S. National Arboretum: Thuja "Green Giant"